Hey, bloggers! I am back from Arkansas and excited to bring you some new blog posts! I hope you haven't missed me too much! Destination weddings are my favorite. 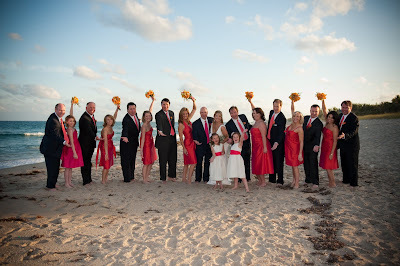 Combining a wedding and vacation is such a great idea for both the bride and groom and the wedding guests. Why not have the perfect scenery for your special day? 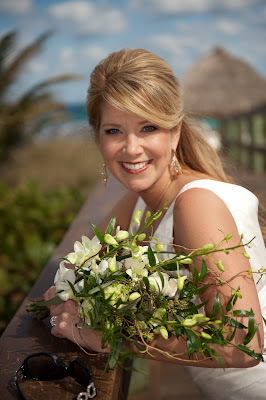 Today, we are blogging about another destination wedding. 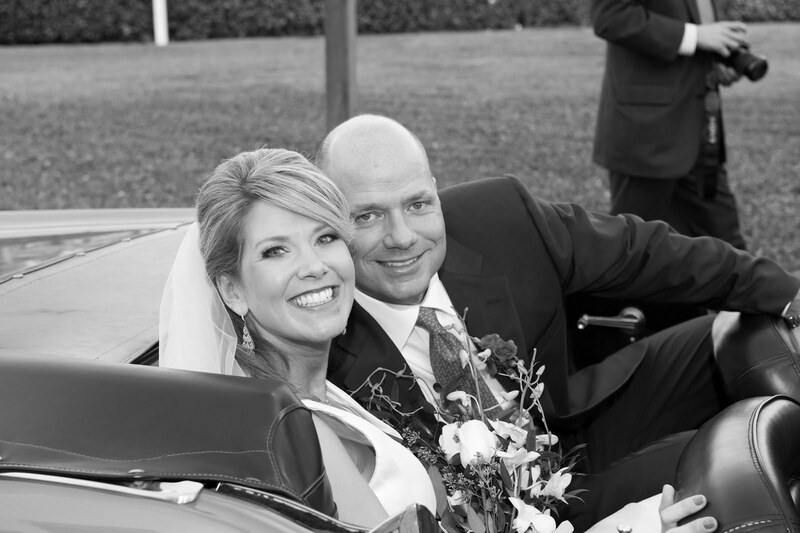 Melinda and Todd were married in February 2009 in the tropical resort town of Del Ray Beach, Florida on the Atlantic Coast. 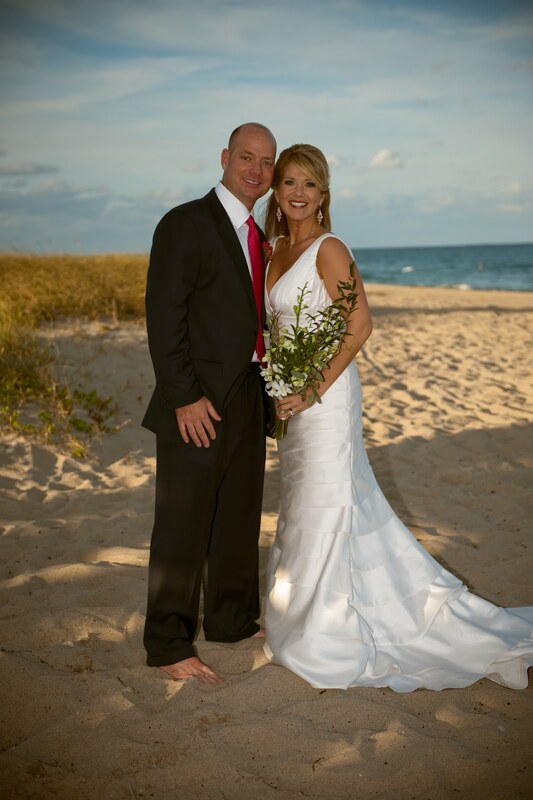 Del Ray's beach was the perfect back drop for the beautiful ceremony. 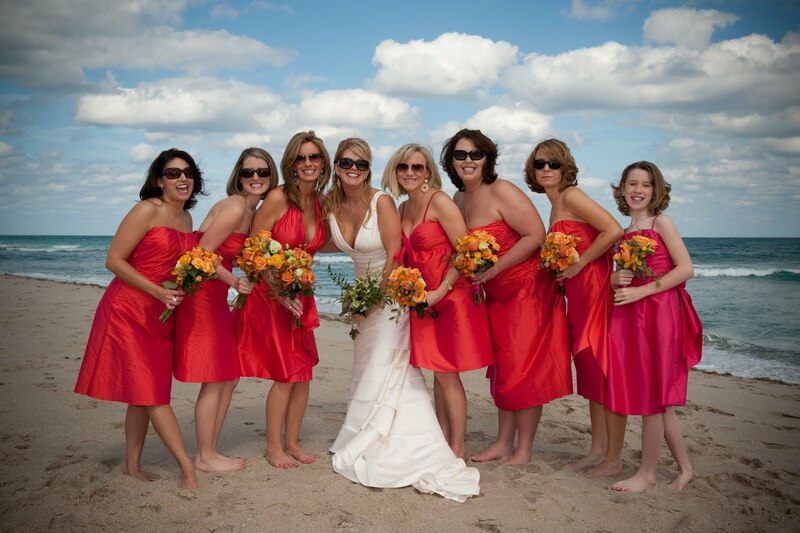 Melinda and Todd used white, raspberry, tangerine, and navy for their colors. Hayley customized these elegant, yet playful save-the-date cards. 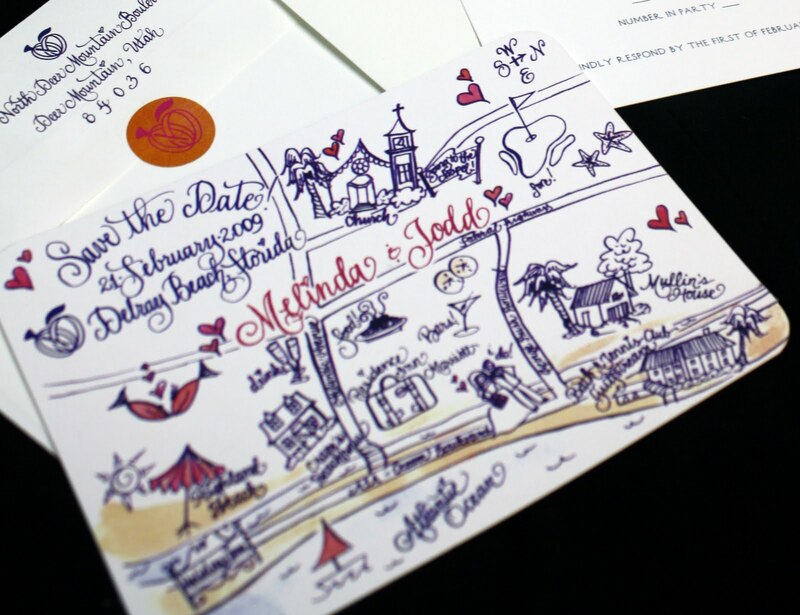 She created a map of Del Ray with whimsical drawings and calligraphy. Here is the happy groom, Todd. 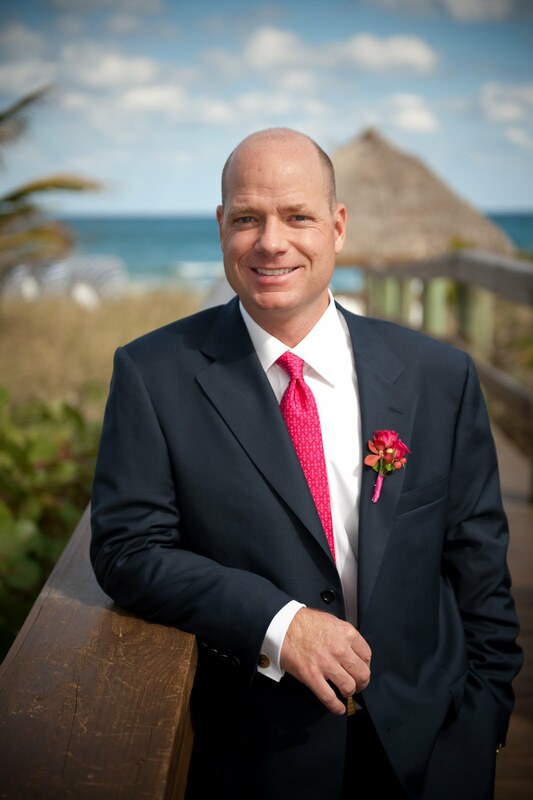 We love the tropical boutonnieres! 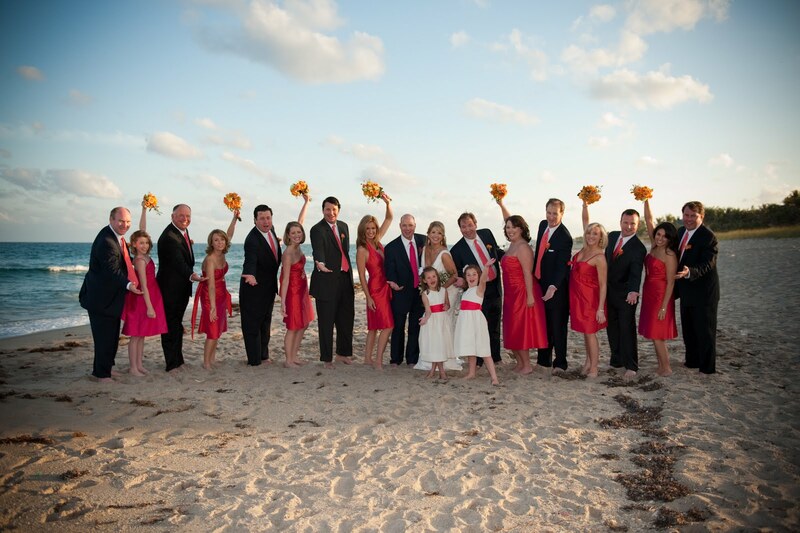 The bridal party is looking fabulous in the bright Florida sun! The wedding party looks so happy for the lucky couple! It's great to be in Florida! 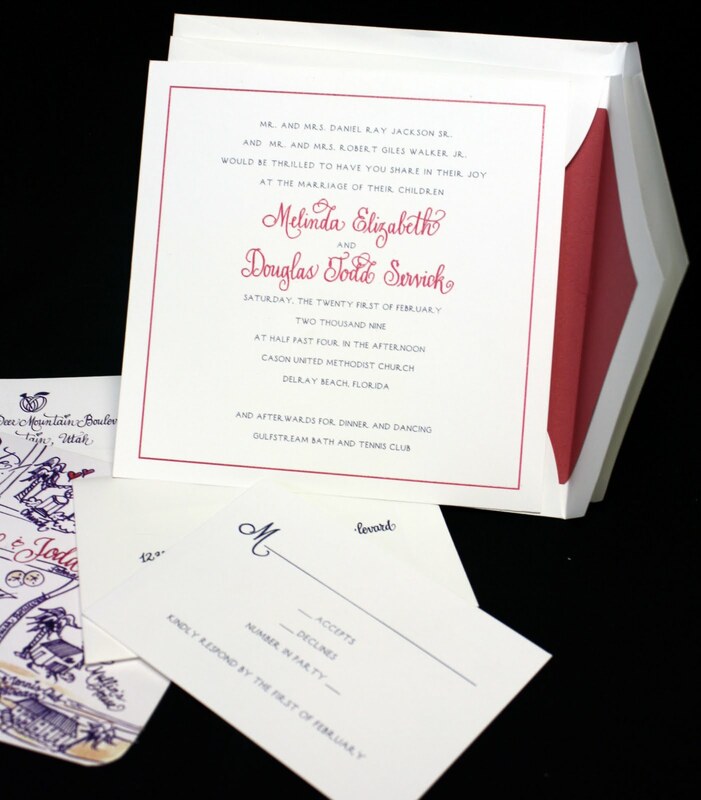 Hayley also designed the invitations. Custom monogrammed cards and napkins were used at the reception. A special logo was created for the couple. A friend of the couple suggested that their ring logo should be unique to Melinda and Todd. If you look closely, you can see that one ring is a golf tee, representing Todd, who is a golf course designer, and the other is a peach, representing Melinda, who is from Georgia. We love this idea! Happily married, the couple leaves for their honeymoon! It's a storybook ending in Florida! Thank you so much for reading our blog! We are so excited to share not only our custom creations with you, but also our ideas and favorite things. We are having a contest with a fabulous prize once we reach 100 followers on blogger in which YOU can participate. All you have to do is FOLLOW us! We will reveal the prize when we reach 100 followers, so tell your friends! Also, don't forget to like us on Facebook, check out our website, and come see us at Happenings in Galveston! We would love to see you! T.G.I.Fabulous: 60 Summer Songs We Love! 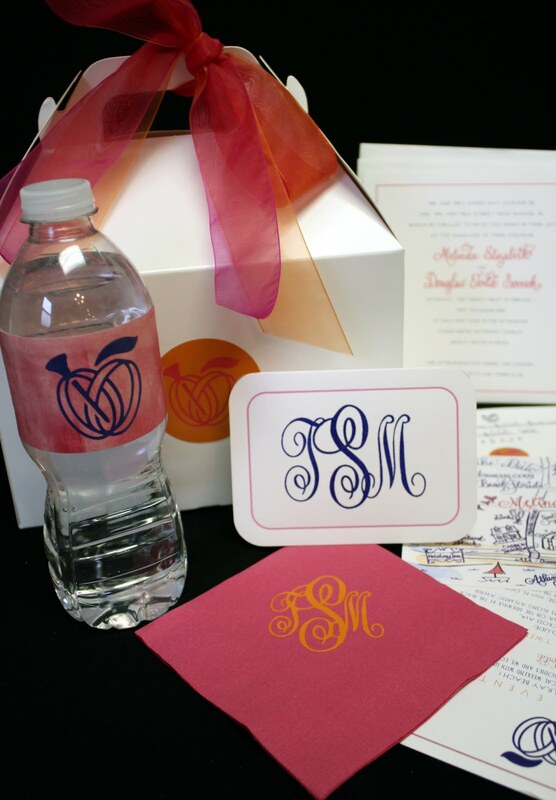 Wedding Wednesday: Houston, We Have a Party!